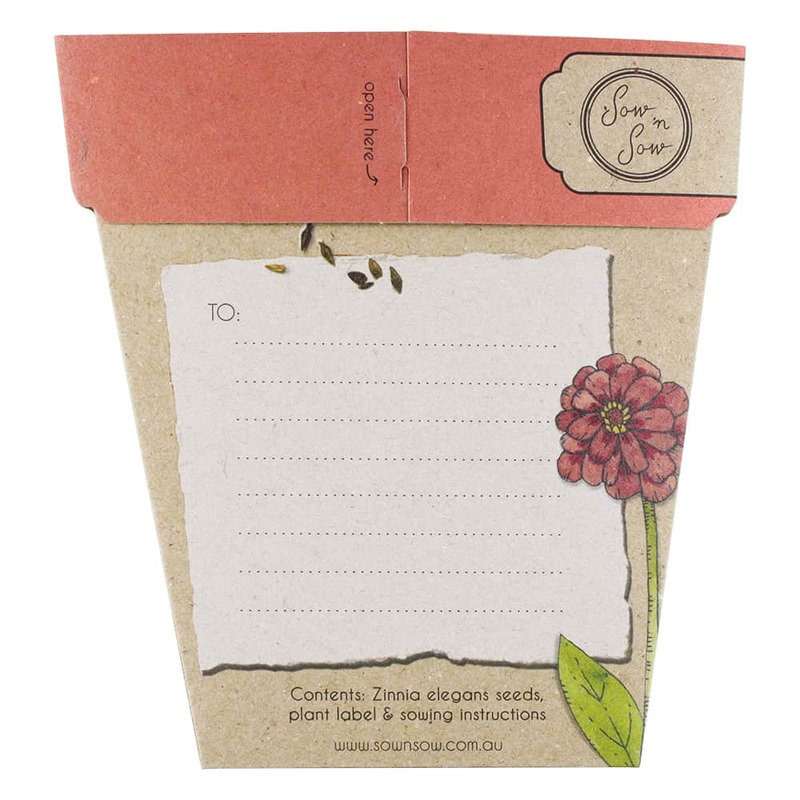 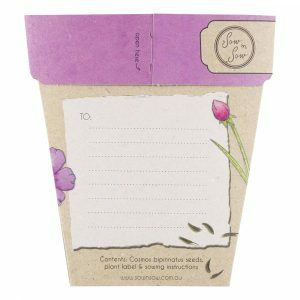 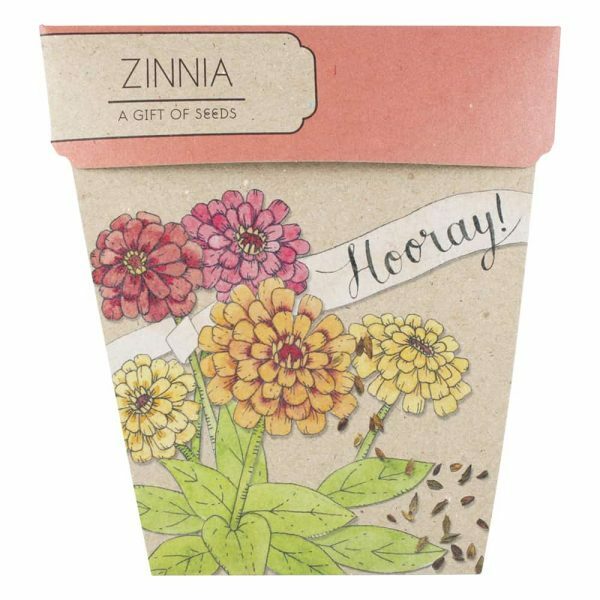 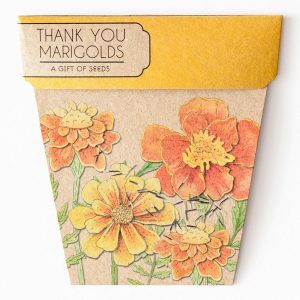 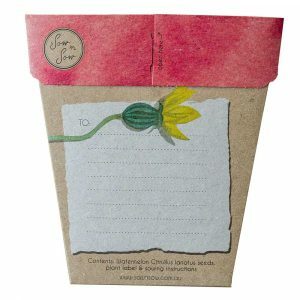 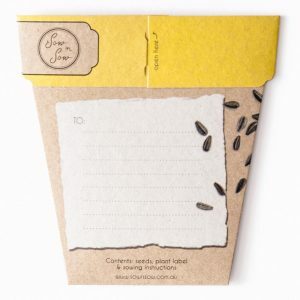 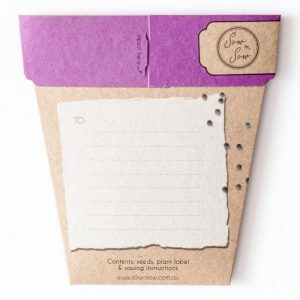 A sweet and thoughtful gift which keeps on giving, this eco friendly greeting card includes a packet of Zinnia flower seeds. 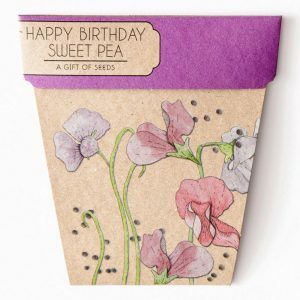 Wish a friend or loved one ‘Hooray’ for any occasion be it a birthday, new job, new baby, anniversaries or engagement with this gift that grows and keeps on giving. Zinnia’s are a bright & cheerful flower that grows easily from seed and will provide a massive burst of colour in the garden. 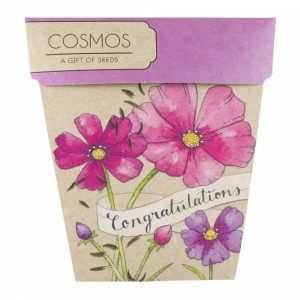 Sow in spring and summer in a nice, sunny position, at a depth of 5mm. 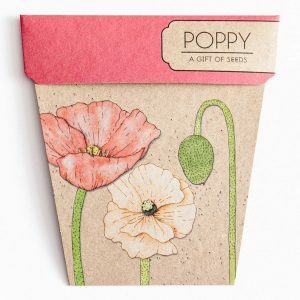 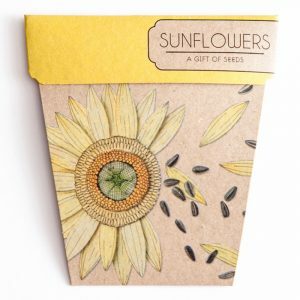 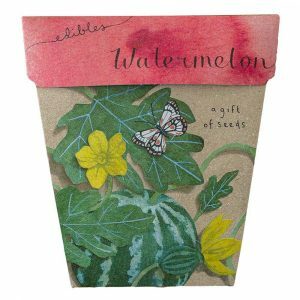 This gift of seeds is embellished with stunning illustrations created by Daniella Germain. 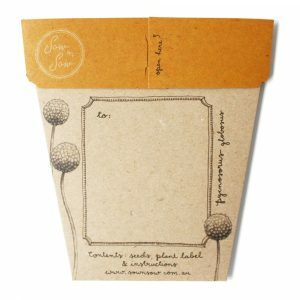 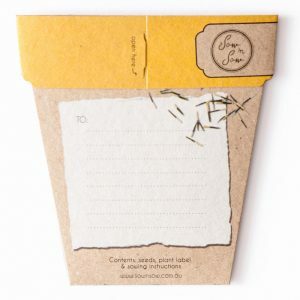 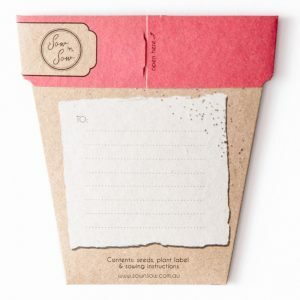 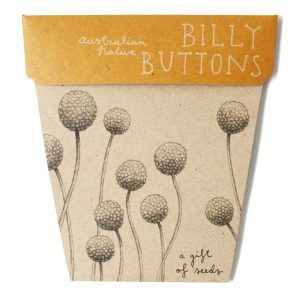 Each packet comes with a unique plastic plant label and sowing instructions are printed on the inside of the packet.